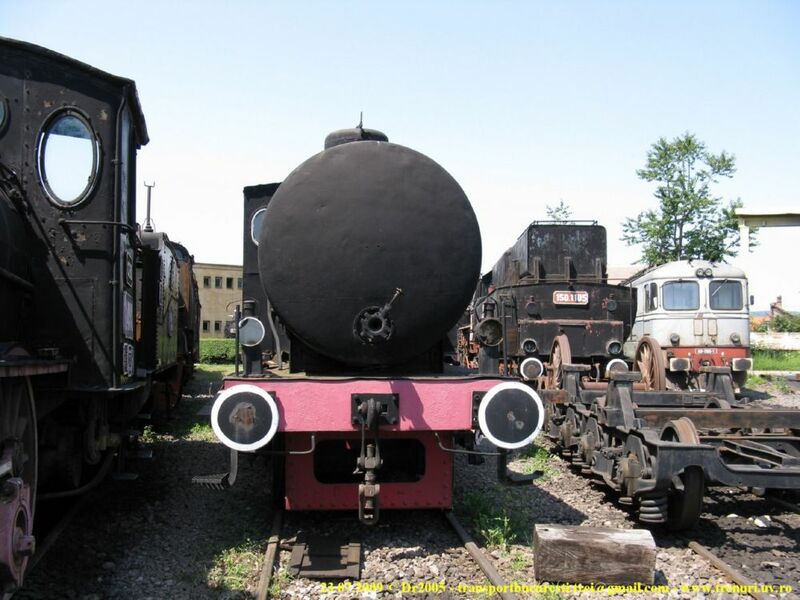 More pictures (over 90) with Romanian steam locomotives, at high resolutions, can be seen in this page. 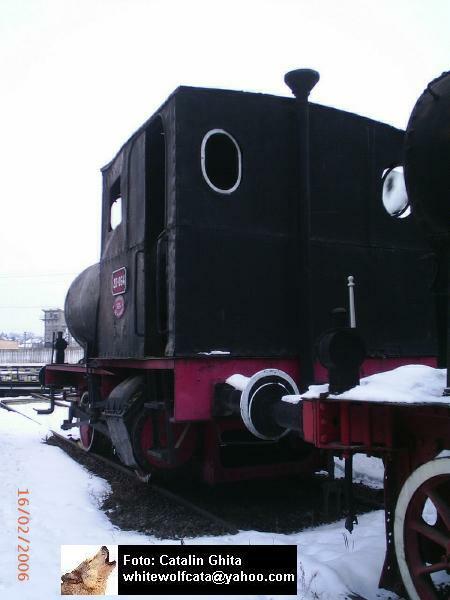 Fierless locomotive 20.064 in Sibiu yard. The loco is part of a two locomotive series imported in 1924 and destined for use in places with explosion danger such as: refineries, ammunition depots, distilleries and other places. The locomotives made active service at Chimimpex Constanta and Marasesti Chemical Factory, till 1976 when they where retired from active service. 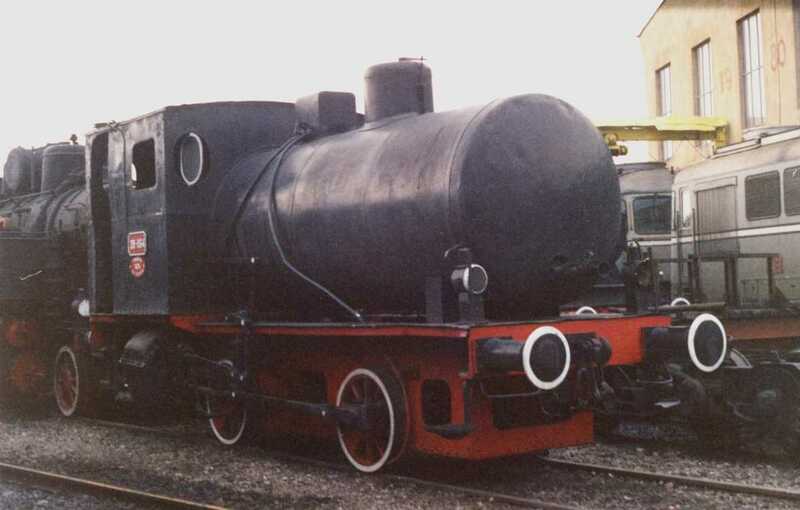 In 1995, the Marasesti Chemical Factory donated the loco 20.064 to Sibiu Steam Locomotive Musum, where it is now exhibited. ROMANIA. 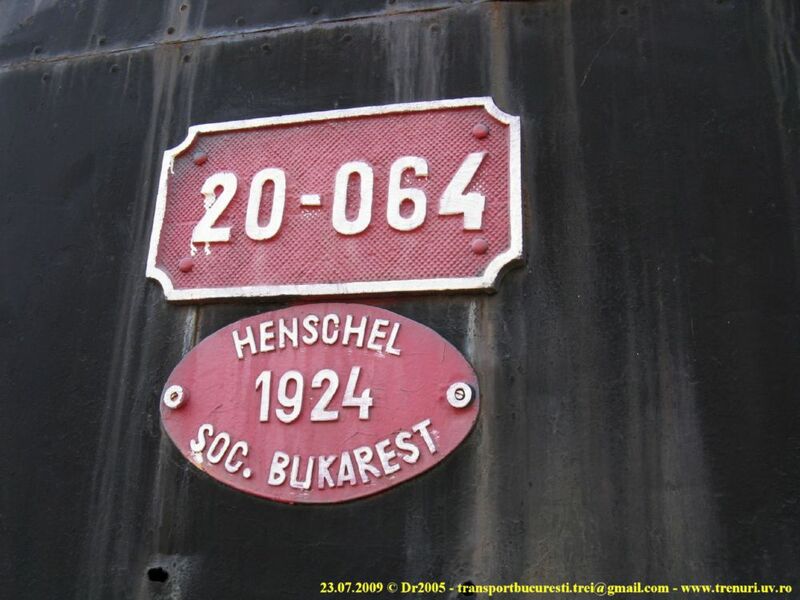 20-064 - HENSCHEL - steam locomotive. ROMANIA. 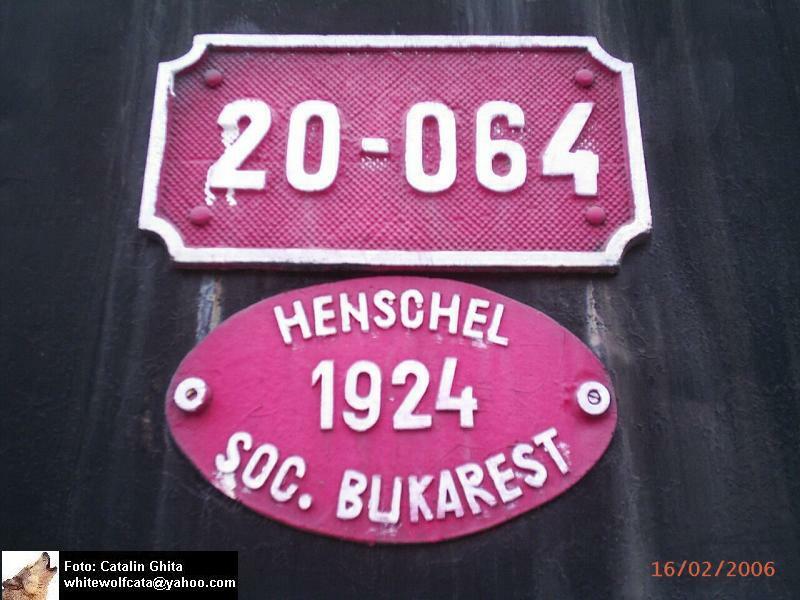 Plate of 20-064 - HENSCHEL - steam locomotive.